I saw this one in first run at the theatre. 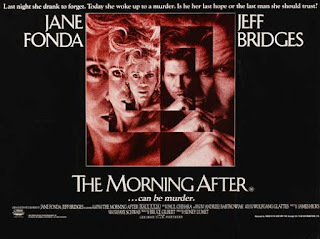 I remember thinking at the time that it was a pretty good film, but the only thing I really remember now about it was the fantastic opening scene where Fonda wakes up in bed with a bloody corpse. Unforgettable! It's such a shocking scene - and beautifully realized by Fonda and Sidney Lumet. Even if Lumet did kind of steal the idea from Francis Ford Coppola :). I want to bugger Jane Fonda (as the bird was in 1955 when the bird was 18, not as the bird is now obviously). Jervaise, every geezer in the world wants to bugger the 18 year-old version of Jane Fonda, THATS A GIVEN ! ! !.